"Clean and renewable energy is a new economic frontier, and it’s important for Colorado and our country that we continue to position ourselves as leaders in this emerging economy" says former Colorado Governor Bill Ritter. Governor Ritter is now Director of the Center for the New Energy Economy (CNEE) at Colorado State University, whose mission is building essential partnerships around research-based clean energy solutions, workforce development and advancement of technologies that will fuel long-term, sustainable economic growth. Gov. Ritter's leadership in signing 57 clean-energy bills into Colorado law - including the “Clean Air, Clean Jobs Act” - demonstrates how constructive public policies can create high paying jobs and protect our environment while providing the clean energy we need. And his help in attracting new-energy icons like Denmark-based Vestas Wind Systems, Germany-based SMA Solar Technologies and Japan-based American Zephyr Corp. to Colorado is clear evidence of his effectiveness in getting Colorado “plugged in” to the New Energy Economy. 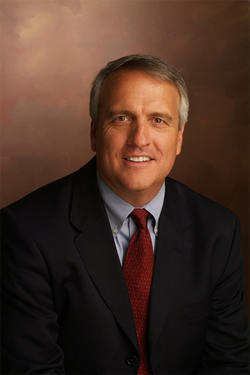 Bill Ritter Jr. is currently the Director of the Center for the New Energy Economy (CNEE) at Colorado State University. The Center started February 1, 2011 with Ritter as the founding Director. In addition to the Director, the Center now employs an Assistant Director, two Senior Policy Advisors, and an Executive Assistant. Ritter was elected as Colorado's 41st governor in 2006 -- the first Colorado-born governor in more than 35 years. Ritter lead Colorado forward by bringing people together to tackle some of our state's biggest challenges. During his 4 year term, Ritter established Colorado as a national and international leader in renewable energy by building a New Energy Economy that is creating thousands of new jobs and establishing hundreds of new companies; enacted an aggressive business-development and job-creation agenda that is focused on knowledge-based industries of the future, such as energy, aerospace, biosciences, information technology and tourism; initiated sweeping K-12 education reforms to give Colorado children the skills and knowledge they need to compete and succeed in a 21st century global economy; and, improved access to quality and affordable health care for many of the 800,000 Coloradans who lack health coverage. Ritter served as Denver's District Attorney from 1993 to January 2005. He earned a national reputation as one of the country's most effective and innovative prosecutors, and several of his programs continue to serve as state and national models. The sixth of 12 children, Ritter was raised on a small farm in Arapahoe County. He was a member of the first graduating class of Gateway High School (1974), and he earned his bachelor's degree in political science from Colorado State University (1978) and his law degree from the University of Colorado (1981). Ritter is married to Jeannie, and before his serving as District Attorney, he and Jeannie operated a food distribution and nutrition center in Zambia. They have four children; August, Abe, Sam, and Tally.